Qingdao Hetaiyuan trade limited company Is a professional container house manufacturing enterprise integrating r&d, design, production, sales and service. 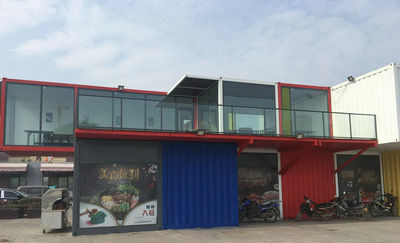 's main container house, container manufacturing, second-hand container system renovation, container leasing, hanging suitcase restructuring and old container sales business. With, the company has all kinds of management personnel, technical experts and professional technicians, formed the container house research and development, production, management and service of comprehensive ability, and have abundant source of second-hand container, with each big company has established long-term stable cooperative relations, has accumulated rich experience, and in the coastal port cities established container service network construction, to provide customers with green, low carbon, environmental protection, science and technology, recycled modular building solutions. Qingdao Hetaiyuan trade limited company is equipped with advanced and perfect facilities and operating system to allocate containers, professional, service with high quality and good service first-class staff will return for customers every delegate.